BPS offers webinars to help you thrive in your professional role. All webinars are inlcluded with BPS membership; nonmembers may access for a fee. Let’s be honest: cover letters are annoying to write! But in this webinar, you will learn a recipe to write a cover letter that you can utilize for the rest of your life, whether you are going for an internship, scholarship, job, or promotion. 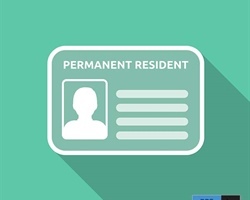 Green Cards for Scientific Researchers: How to win your EB-1A/NIW Case! Presenter: Brian H. Getson, Esq. Learn about the U.S. immigration process and how to maximize your chances of immigration success during this webinar presented by the law firm of Getson & Schatz, P.C. For more information, visit researchergreencard.com. There are many career opportunities for those interested in combining their love of science with articulating those ideas to members of the public. Learn about the different career paths you can take, how to market yourself to prospective employers, what skills to hone now, and how to set yourself up for success in science communications. Discover what you need to know and do throughout the interview process to demonstrate your value to the institution and land the job. So you publish in high impact journal and your science is exceptional, but do people really know who you are? Amplify your scientific persona through networking and personal branding. Simple tips are provided to help set you apart in the public and communication domains, which can impact your future and continued success. The webinar is designed for early career scientists but it’s never too late to learn to promote yourself. Communicating with the public and the media are essential elements to being a successful science professional. Learn “what's news” and how to articulate your role and goals to the public and the media in ways that spark advocacy and passion for the profession and subject of science. Learn how to handle any conflict and how to forge a relationship with the other party that demonstrates your professionalism - and your interest in collaboration. To help prepare members to meet with their Congressperson and/or Senators during the August 2017 congressional recess, the Society hosted a training webinar. The webinar covers the status of science funding in the U.S. for FY 2018 and tips to have a successful congressional meeting. Thinking of starting your own business or consultancy? This webinar will address how to design a plan that will incorporate your career goals with your interests, passions, and skills. Register today to learn about the basics of launching your own company, developing your brand, and finding and solidifying customers. The basic elements of marketing, IP protection, and understanding and selling your services and products will also be addressed. We will also develop contingency plans and discuss the role of failure in your career. This webinar will cover “soup to nuts” on writing a biophysics paper. It will start with how to take data from your lab notebook and organize it into an outline and first draft of a manuscript. You will then learn how to organize and polish your manuscript into a final draft. Finally, you will be guided through the steps of submitting to a journal, the peer review process, and what you can do to increase your chances for acceptance and publication. Looking for a specific webinar?